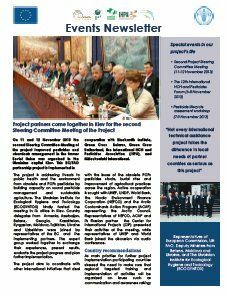 The aim of 12th International HCH and Pesticide Forum is to present and discuss the problems connected with a huge amount of obsolete pesticides in the regions of Central and Eastern Europe, Caucasus and Central Asia and many others around the Globe, their inventory, present amounts and elimination, which had started successfully during the previous eleven Fora. What has been realized from the 11th Forum recommendations ? For more information please download the full announcement. 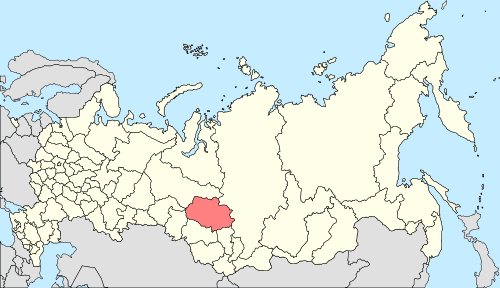 The Tomsk Oblast lies in the southeastern West Siberian Plain. The city of Tomsk was founded in 1604. Most of the Oblast’s 316,900 km² territory is inaccessible because it is covered with taiga woods and swamps. 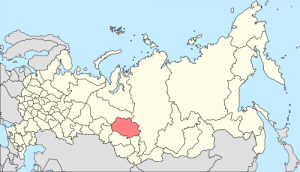 The Tomsk Oblast is rich in natural resources, particularly oil, natural gas, ferrous and non-ferrous metals, peat, forests and underground waters. Forests are among the most significant assets of the Tomsk region: about 20% of West Siberian forest resources are located there and are used for economical purposes since a long time. In Soviet times, DDT was used in the Tomsk region for fighting the Siberian silkworm in forestry. With the end of the Soviet Union, management at many of the pesticide stores stopped. 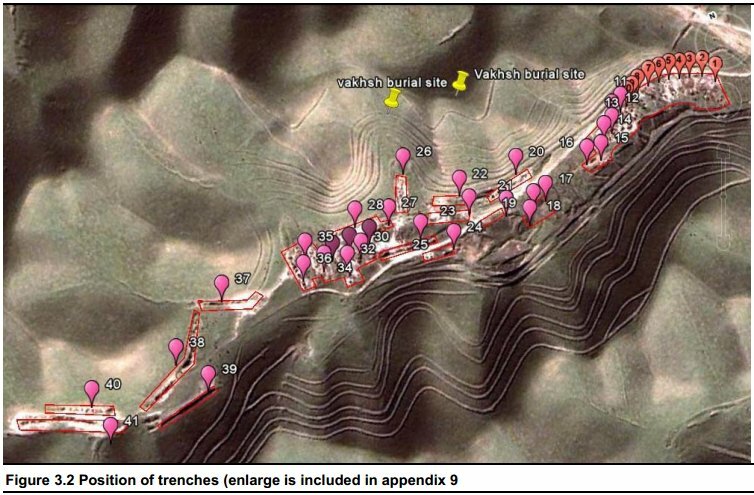 While many of the visible amounts of OP were brought to a central polygon over the last years, it is assumed that there are still larger amounts burried or not yet detected. Out of the 16 districts of the Tomsk Oblast, the most acute problems are in the Pervomaysky, Parabelsky, Teguldetsky, Kolpashevsky and Tomsky Rayons. A training on the inventory of obsolete pesticides according to FAO standards was organised by Green Cross in Tomsk from 20-29 June 2012. The project aimed at introducing international best practices and safety standards when dealing with obsolete pesticides as promoted by the Food and Agriculture Organization if the United Nations (FAO). Course trainers were Khatuna Akhalaia (Georgia) and Katea Melnicenco (Moldova). The ten participants came from the Tomsk department of agriculture, the Tomsk department of environment, the Tomsk department of socio-economic development, the emergency services, the management of the toxic wastes polygon, a waste management company, and a NGO. The training comprised training on the inventory process, health and safety during inventory, management of inventory data with PSMS, different approaches for stores and burial sites and on-the-job inventory training. 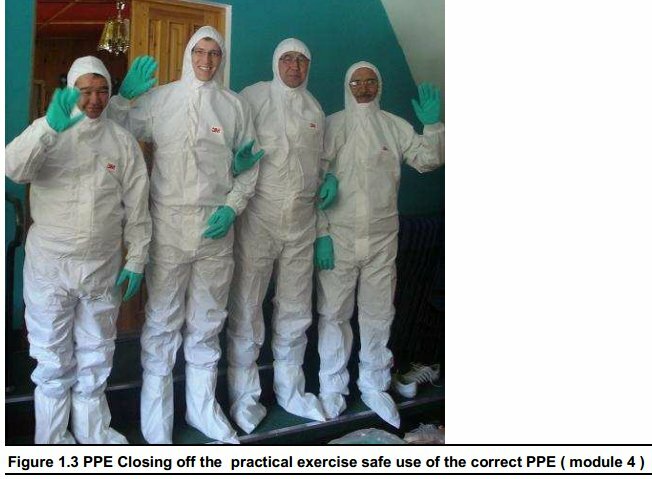 The practical training was performed on sites of two former pesticide stores – Tegulted and TB former store. Samples taken from Tegulted and Beregaevo were analysed in labs in Tomsk and Novosibirsk for soil contamination by DDT and its products of decomposition. The results from Teguldet, a village with 4’200 inhabitants, show that soil taken from garden plots is contaminated with levels 7-100 above permissible limits. 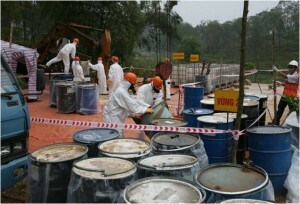 Due to the proximity to the river Chulym there is a risk of migration of the contaminants into water bodies. The samples from Beregaevo have not yet been analysed. Though most of the participants had already been working with OP in the past, they appreciated the training as it gave them new ideas for their daily work. YEREVAN. – Armenian Ministry of Agriculture submitted to the Government’s approval the plan on joining the regional agreement on elimination and prevention of obsolete pesticides. The issue is included in the Thursday session agenda. The project was initiated by the Food and Agriculture Organization of the United Nations (FAO). It will provide for realizations of pesticides registration, characterization and elaboration of productive management projects. Within the frameworks of the project, chemical-analytical study will be implemented in residents and areas adjacent to the pesticides depots, as well as monitoring will be conducted to detect and determine the degree of pollution. 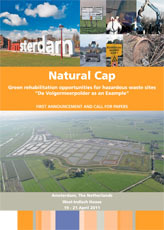 To mark the end of the Volgermeerpolder remediation and to focus on future Green Rehabilitation opportunities, we invite international experts and stakeholders to take part in the 2011 Amsterdam Natural Cap conference and submit their conference papers. We invite you to register for the conference. On April 20th and 21st Tauw and Witteveen+Bos organized a conference at the Volgermeerpolder site. In addition to several lectures, all sorts of activities took place. The purpose of the ‘natural cap conference’ was to bring together experts and those interested in sustainable sanitation. In this way it could be visualized what has been achieved at Volgermeer. The conference started with a review of the Volgermeer project and the ensuing spin-off in the field of soil, landfills and peat studies. The fact is that at Volgermeer the most extensive peat research in the world was initiated. Universities involved gave a presentation about this study and there was opportunity for a site visit. Other activities on the programme included: demo flights by Gyrocopter, building and demonstrating a peat roof, and exploring the area on foot, by golf cart or landrover. In addition, there were stands for companies who demonstrated their technological developments.